The Way To Dive Grand Cayman! You're on Vacation, Let us take care of the details! 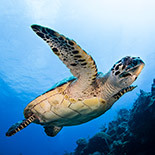 If you are looking to dive in Grand Cayman, look no further. Our goals are simple: smaller dive groups, longer bottom times and safe, easy, flexible diving, all of which enable us to provide more personal attention to our divers and build great friendships. From complimentary van service, to friendly and knowledgeable staff setting up your dive equipment, to fresh towels, bottled water and homemade snacks, we ensure that our guests keep coming back to dive with us here in Grand Cayman year after year! All dives are guided by our professional instructors, but you are free to dive with a buddy at your own pace, if you prefer. Diving with us will make your Grand Cayman dive vacation a truly enjoyable and memorable experience–let us show you the wonderful world of Diving Grand Cayman! 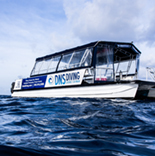 If you have additional questions, require more information, or have any type of special request please don’t hesitate to email info@dnsdiving.com or call us 1-345-916-2490 and we will be more than happy to try and accommodate your needs! © 2018 DNS Diving. All Rights Reserved.